In our previous tutorial, we showed you how to deploy a simple PHP web-page on Heroku which involved setting up Heroku toolbelt, configuring it, and deployment. 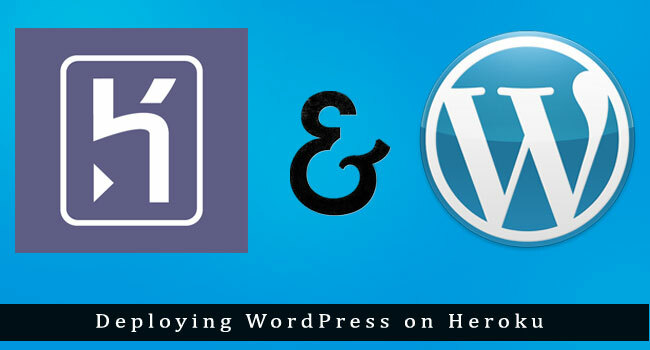 In this tutorial we will be hosting a WordPress blog on Heroku. It will require the same procedure as involved in setting up PHP application, along with it we will be configuring our application to work with a database, which is also provided by Heroku known as Heroku Postgres (database as a service). 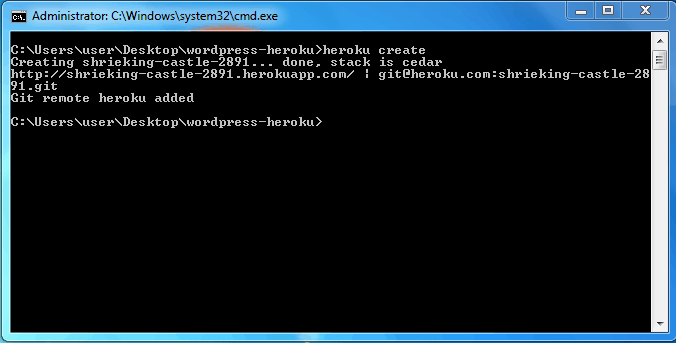 Note: This tutorial does not show how to migrate your existing blog to Heroku. Heroku provides a free 5 MB database, which should be enough for getting started with WordPress. If you are looking for more space for your database please refer to the Heroku Pricing plans. Here will be using a custom built of WordPress, it is available here. It comes built with PostgreSQL for WordPress and WordPress Read-only. Since Heroku does not provide MySQL, will be using PostgreSQL as our DB. 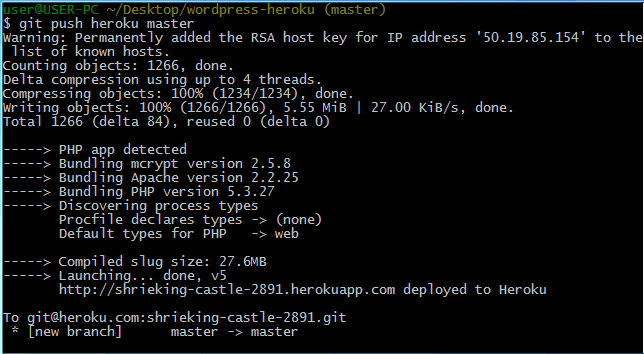 (Also, Heroku does not provide write access on the file system, will be using a WordPress Read-only built). Now edit the `wp-config.php` file and update the unique keys and salts on lines 48-55. You can get the random values at here. After deployment, WordPress will ask you to setup your site title, username and password. And that’s all. Please note that, since Heroku does not provide the write access to the file-system, all the plugin installations and updates have to been made locally, and then pushed to Heroku. Please refer to this wiki for more information for setting up local environment, database syncing and media uploads. If you’re facing any problems to deploy WordPress on Heroku let us know in form of comments below. Don’t forget to share this article with your friends on Facebook and Google+. Very informative, I just hope I can properly implement this on my next project.. I have a problem. 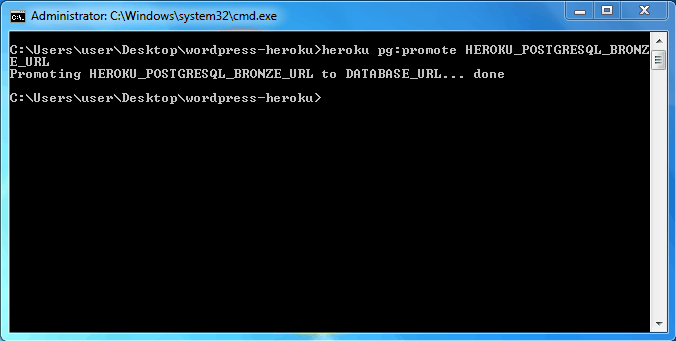 I deployed succesfuly a existing wordpress website to heroku, so I don’t want to run wordpres install again. But at the first time I accessed to mywebname.herokuapp.com, it lets me reinstall wordpress agian.